Have you ever stopped to think about what’s in the bath and household products you use around your home? If so, you may want to give the label a read through before your next use. Consider the fact that the European Union has banned more than 1,300 substances from cosmetics, while the United States Food and Drug Administration has banned merely 11. In fact, Congress has not updated its laws for prohibited substances in cosmetics since 1938. We’ve heard from many people who are alarmed when hearing these stats but aren’t sure how to proceed. They’ve often used the same products for years and are unsure where to find viable alternatives. Below, we’ll cover why there is a significant need for concern and what you should do to ensure you no longer jeopardize your family’s health. 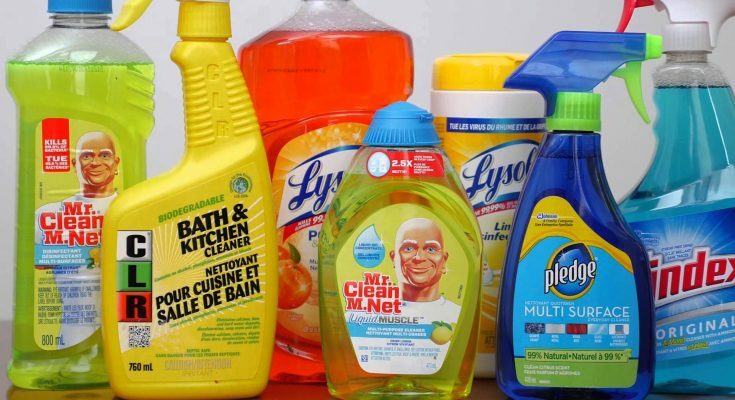 One of the most significant causes for concern is the fact that the FDA does not require manufacturers of bath and household cleaning products to list the ingredients used. The only stipulation that these companies must meet is set forth by the United States Environmental Protection Agency, which requires companies to register any components that are active disinfectants or otherwise potentially harmful. Barnett then mentions another study by the Environmental Working Group, which found that the EPA approved a majority of applications from manufacturers for household cleaning products within three weeks or less, even though more than half of the applications did not provide a single piece of information about toxicity. What this means is that there is no way to know what’s in your bath and household products. Companies in the United States must abide by the “honor system,” in which they are expected to list the ingredients that are potentially harmful. However, the general belief is that most of the companies do not do so, as they have an obvious incentive to obscure the truth. So, there’s no way of really knowing what chemicals are in your products. A couple of years ago, the Food and Drug Administration banned a dangerous chemical, triclosan, from household antibacterial soaps. Studies have found that the compound is a hormone disruptor that causes an array of health problems, including potentially adverse birth outcomes. Furthermore, the FDA ban required companies to remove the chemical within one year, which meant millions of Americans still subjected themselves to the hazardous substance. The ban also did not address two dangerous chemicals typically used as a substitute for triclosan, benzethonium chloride, and benzalkonium chloride. Unfortunately, countless other ingredients that are potentially dangerous are lurking in your products. For instance, many cosmetic, bath, and household products contain parabens, which act as a preservative. Exposure to parabens is problematic because the chemical replicates the body’s natural hormone system. Studies show that parabens can alter the body’s endocrine system, otherwise known as all of the glands in the body responsible for producing hormones. Another dangerous chemical that could be in your household products is hydroquinone. Both the European Union and Japan have outlawed this product, although regulators in the United States have failed to do so. The chemical is a known carcinogen, as it kills healthy cells in the body and increases the likelihood of cancerous cells developing. If you’re concerned about the chemicals in your household products, we recommend you check out the list of substances banned in the European Union. We’re willing to bet that you’ll be shocked by how many banned substances are in the products that you use at home. Also, keep in mind that this doesn’t account for the chemicals that manufacturers have hidden from consumers and kept off the label. Fortunately, awareness has brought about the rise of companies who dedicate themselves entirely to providing customers with natural products free of chemicals and pollutants. Many of these companies act as a one-stop-shop, providing customers with everything from Face Care products to Bug Spray. Take, for example, this Antiseptic Liquid Soap. The product currently in your home could contain triclosan, benzethonium chloride, or benzalkonium chloride. Natural liquid soap, on the other hand, relies on essential oils for its antiseptic properties. Essential oils are highly concentrated plant extracts often used for aromatherapy purposes. However, they can offer an array of benefits and act as a potent antimicrobial agent. At Utama Spice, we believe that the raw power of nature is inspiring. That’s why we’ve worked for two decades to create products that help enhance your skin’s natural beauty. We rely on traditional Balinese remedies to provide products that you can trust. Be sure to check out the Latest News section of our website for product offerings and benefits!